﻿ The Mardi Gras Hotel and Casino, Las Vegas (NV) | FROM $42 - SAVE ON AGODA! "Clean, easy to check in, good was good." Have a question for The Mardi Gras Hotel and Casino? "Free parking, nice pool, close to monarail, nice staff, comfy beds." "Friendly staff with warm welcome"
"Very good value for what they offer." "The free airport shuttle was a lot of value for me." Steps from the Las Vegas Monorail and Las Vegas Convention Center, this hotel offers free shuttles to the Strip, a 24-hour casino and on-site restaurant. 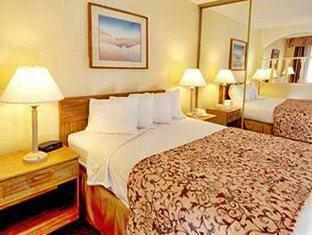 Its spacious rooms feature free WiFi. 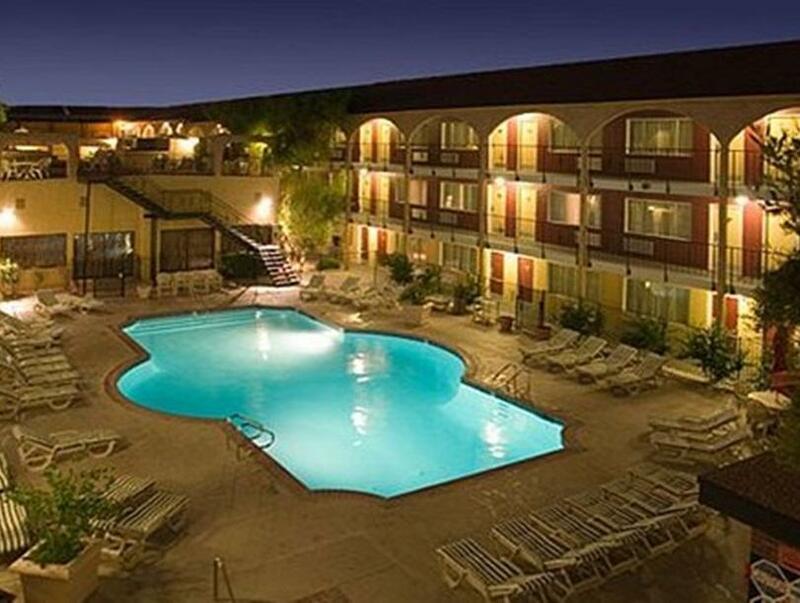 Guests at the Mardi Gras Hotel & Casino can swim in the outdoor pool, which offers a sundeck, or relax in the hot tub. A wet bar with a fridge is provided in the contemporary, warm-coloured rooms. 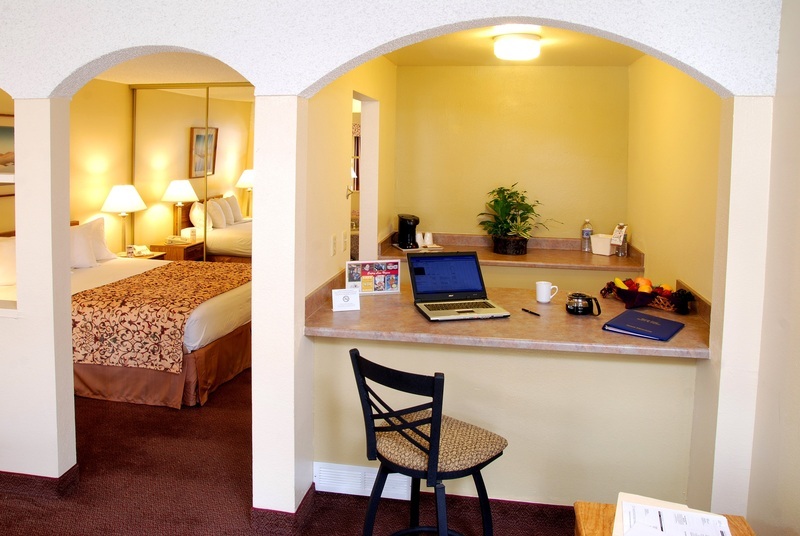 Each room also has a desk. The casino lounge at Hotel Mardi Gras features 50 slots and video poker machines. Guests can enjoy breakfast, lunch, dinner and late night food at the hotel’s restaurant. The Las Vegas Monorail is less than a 1 mile walk from the hotel. 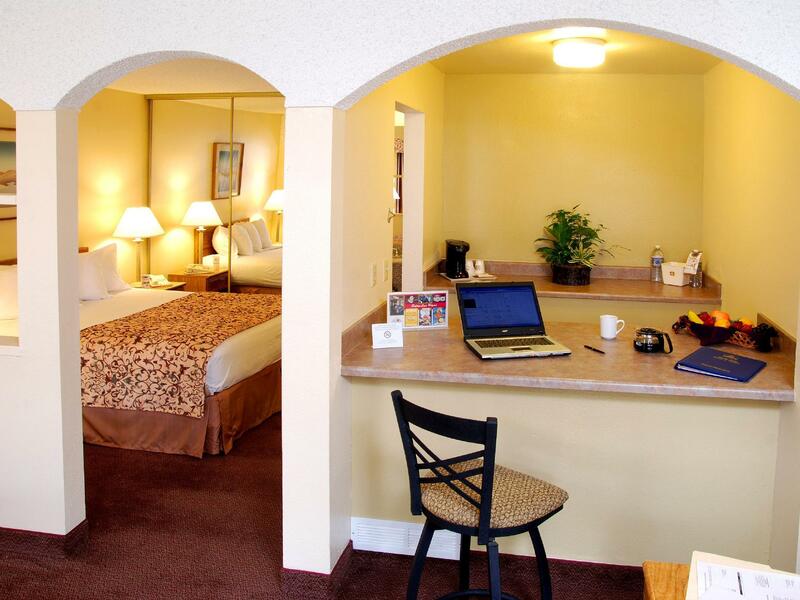 The University of Nevada Las Vegas and McCarran International Airport are within 2 miles from the property. Shuttle service is available at the property from 08:00 AM to 11:00 PM. Kindly contact the property for more details. The property requires a refundable security deposit of 25 USD upon check-in. location, location and location. also has large rooms and refrigerator. this hotel is well located there is a 7-11 and mcdonalds less than a block away. 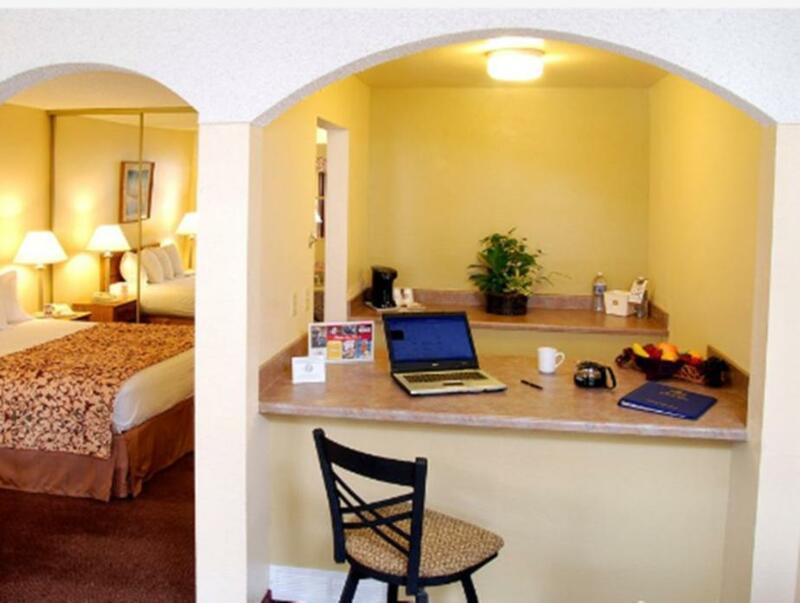 the rooms are large, there is a refrigerator and plenty of towels.there is a safe in the room and an ironing board.the hotel is on paradise boulevard off of the strip and quiet.you do not have to walk through a casino to get to your room and you can park your car next to the room.i have stayed here many times and recommend it as a good buy. We were in Las Vegas for a convention and this hotel worked out well for us. It was a short cab ride to the convention center($10 one way including tip. You could walk if you wanted to but it is a distance - I did not want to walk at night). The room was clean, a little worn, but who cares if you are looking for a deal! The staff was great! 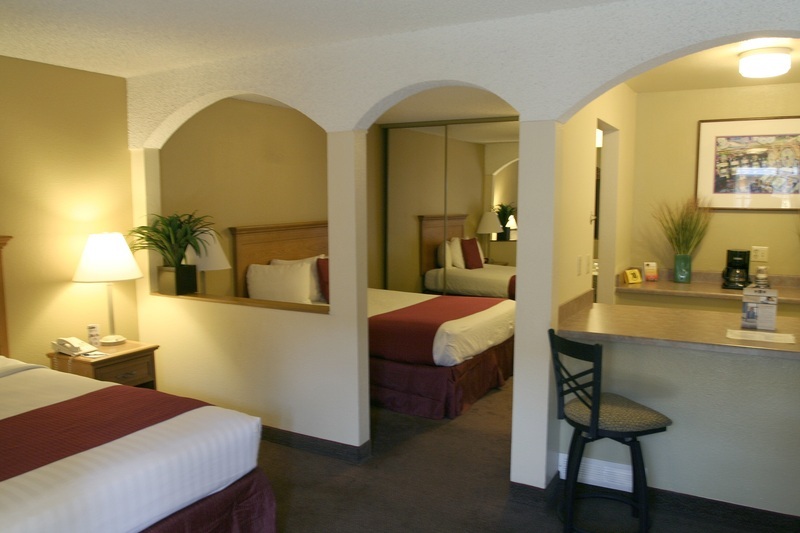 The Mardi Gras is Within walking distance to a convenience store and fast food restaurant. Free shuttle to airport and to Bally's. Pool was clean, no wifi except in lounge/restaurant, had to get ice from the bar because ice machine was not working. The food in the restaurant was decent We would stay here again. 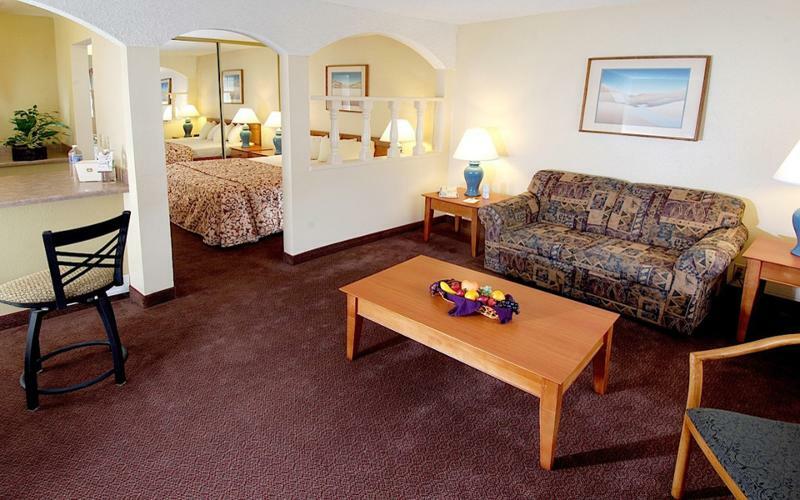 For the price, the Mardi Gras was a home run, as along as you are not looking for luxury!! We walked into the room and it was huge, we were very shocked because it was a very low price that we paid. 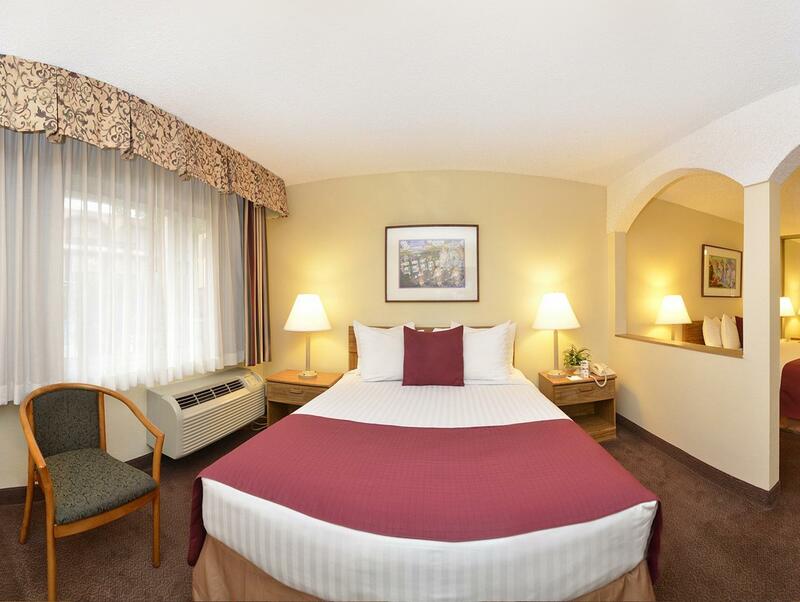 the picture of the rooms are exactly what you get. it was great at night because you didn't even hear any one next door. Very quiet, and beds very comfortable. Would highly recommend this hotel. Would stay there again. Arrived in Vegas at 9 30 pm and needed to be at Surrender nightclub at The Wynn by 10 30. VERY fast check in, Room was very big and clean, a lot better than what I thought it would be. the bathroom was a bit small, the sink was located right outside the bathroom and is quite small too. Very close to the Wynn wich was a huge + for me. The room was the standard with 2 queen beds, room was big with a divider in the middle of the 2 beds. I will come back to this place.